The countdown to our next adventure has begun! 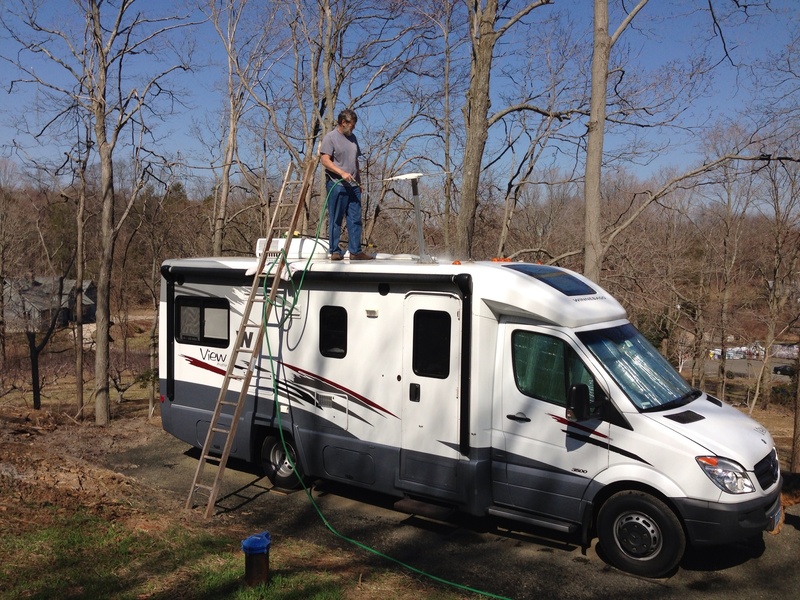 Charlie has been busy readying the camper for our summer trip. He has checked all of the systems, completed routine maintenance, and even built a small cabinet to add storage in over the bathroom sink! The View (our skinny Winnie) is just waiting to get on the road. I am not so handy, so I have had the task of planning our itinerary, figuring mileage and deciding how many days to stay at each site. When we first decided to head to the Maritime Provinces, we had not decided to quit our day jobs…hence we did not realize we would have unlimited time. The two of us value wilderness over pavement, and choose privacy over electrical hookups whenever possible. Therefore we will be staying in few commercial campgrounds and instead will visit the National and Provincial Parks. 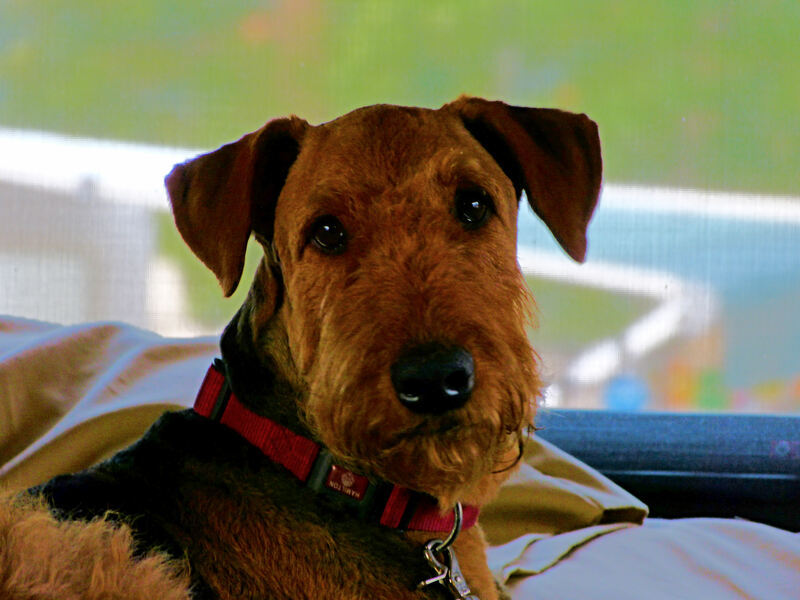 Woolly Bear, our Airedale Terrier, knows we are preparing for a trip, so he follows me into the camper each time I enter it for packing or cleaning. Two years ago we left him with my brother’s family on the farm for three weeks, and he has yet to forgive us! Now he travels with us, unless we are canoe camping. Woolly Bear makes himself comfy on the back bed of the camper. He is not risking us leaving without him! This entry was posted in Uncategorized on June 13, 2013 by Ramblin' Rose.